You see all sorts of teeth whitening kits on store shelves, but they can’t come close to the kind of results you get with our professional whitening system! 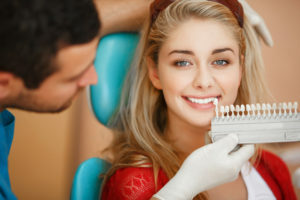 Here’s Dr. Landry talking to you about why your whitest and brightest smile can only happen with help from professionals like you find here at Lapalco Family Dental. Get a whiter smile safely and effectively in Marrero, LA! Give us a call at 504-264-6461 today or fill out our online form to schedule an appointment.